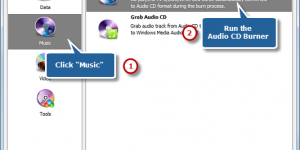 Burn Audio CDs with perfect audio quality. 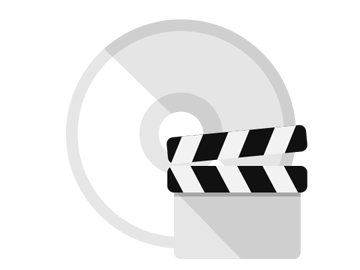 Burn Video DVD to play on a DVD or Blu-ray player. 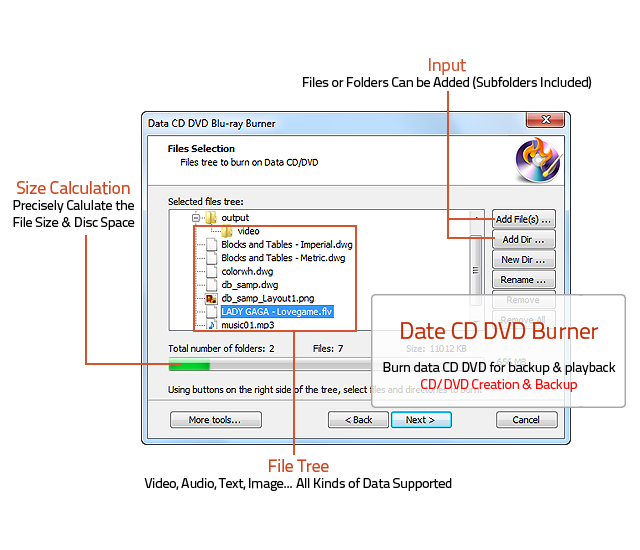 Burn Data CD, DVD or Blu-Ray to create backup discs. Super fast burning speed to save your time. Copy and burn DVDs and other discs. 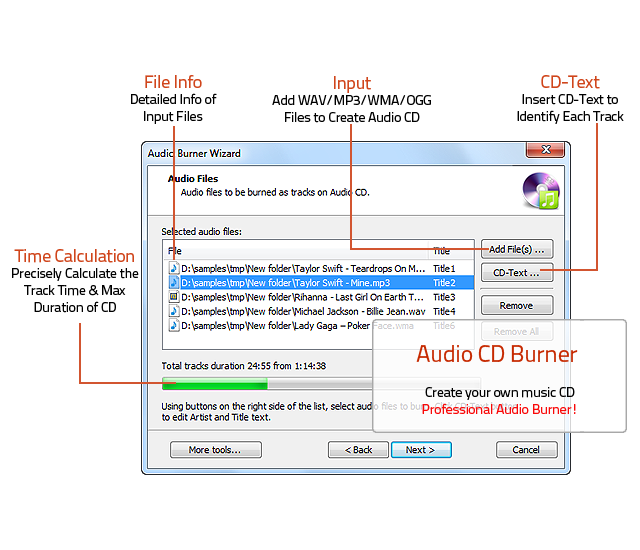 Easy Burning Studio is features in Audio CD burning with superb quality. You can have all your recordings and beloved songs burned with ease, creating a fully customized CD to play in standalone CD player or car stereo. 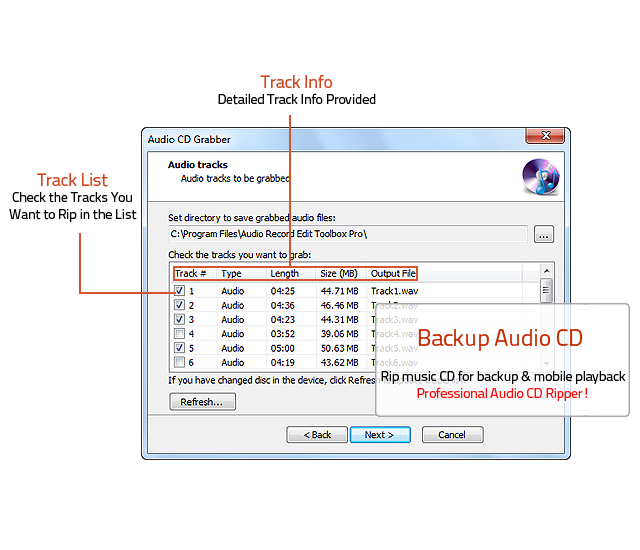 You can edit CD text to burn Audio CD with detailed info of each track. 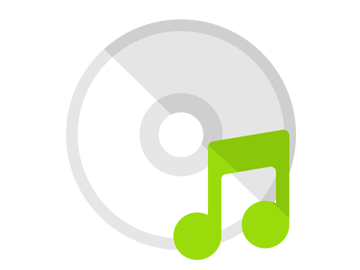 Now create a CD from your audio collection to show your taste! 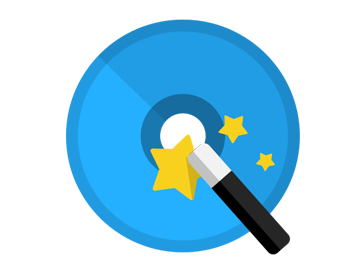 Easy Burning Studio combines many CD and DVD burning related features, each comes with a wizard style interface, making themselves accessible for new users. Basically it covers all aspects when it comes to data and media disk burning and ISO.